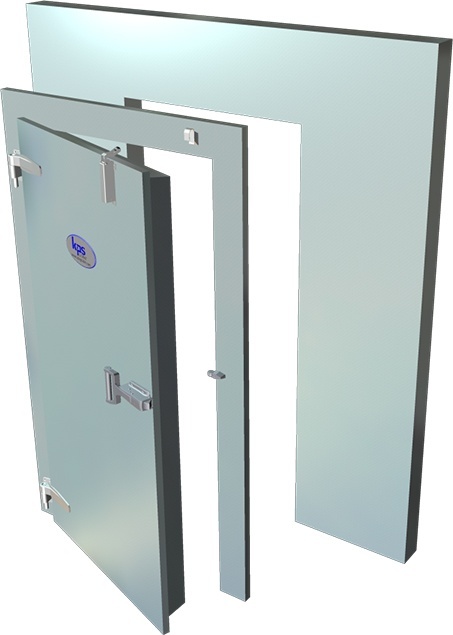 Custom Cooler manufacturers a wide range of hinged doors to meet your cold storage door needs. 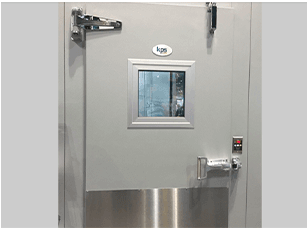 A variety of styles, sizes and finishes are available for use in new or replacement walk-in cool and freezer applications. 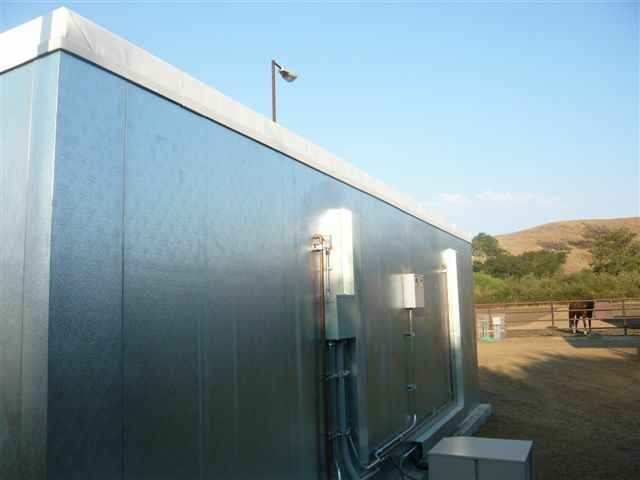 All doors feature foamed-in-place urethane insulation meeting the standards of the Energy Independence Act. For low-temperature applications, anti-sweat door heaters and threshold heaters are available. Custom Cooler’s replacement doors offer your customer a way to fix the part of the walk-in that gets the most use and the most abuse. By putting on a new door you may be able to extend the life of the walk-in another 5 years if there is no other panel damage. Another use for a replacement door may be to add an additional door to an existing walk-in. In this case we would supply you with a door that is pre-mounted to a face frame & jamb. Custom Cooler can provide a sliding door whenever your job calls for a larger door. Depending on the size of the door and it’s use different options are available. Doors can be ordered as manually opened or electrically opened. They also can be ordered as a single panel door or a bi-parting door. Please consult a sales professional at Custom Cooler for more options or to answer any questions.